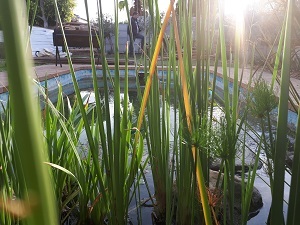 Since reading an article on organic pools, I have been switched on to the possibility of creating the equivalent of a natural mountain pool with fresh drinkable water in my own back yard. 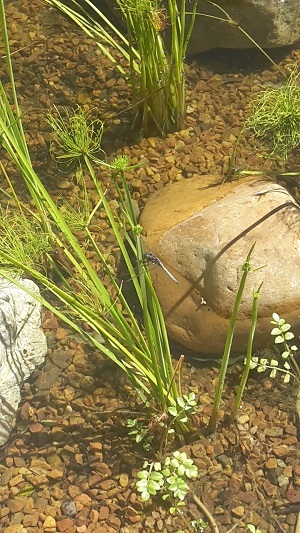 No more harmful chlorine which kills everything else that ends up in the pool, but rather a fresh water haven teeming with wildlife which you could swim in. 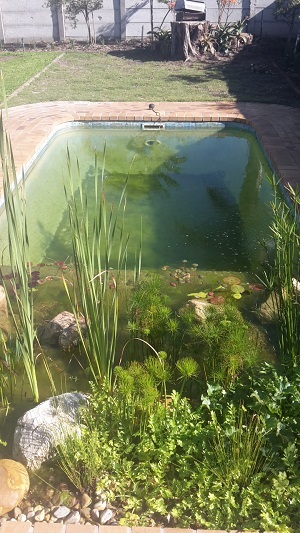 So, my dream started with converting our office swimming pool and after purchasing books, doing research and eventually getting a DIY manual we were ready to start. Our office back garden went through numerous transformations. 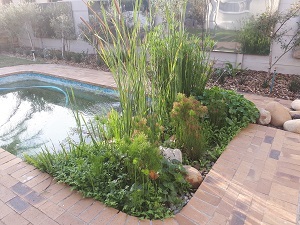 We inherited the conventional pool with a lawn area and beds. Then we decided to get rid of the lawn and use the lawn space as a mini nursery. Bad idea… and subsequently the pool deteriorated into a black pool of death. We then decided to revamp the back garden into a functional space but this time we wanted the pool to transform into an organic pool. 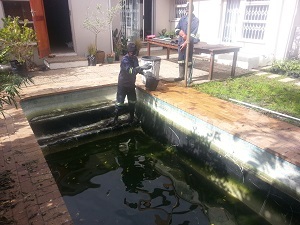 We emptied and cleaned the pool and started the building process. A third of the pool was sacrificed for the regeneration zone. This is where the plants and substrate is placed which keeps the water clear. 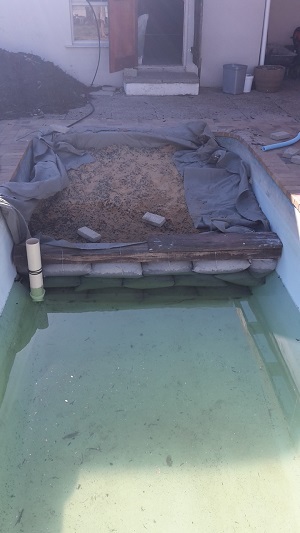 The construction method we used allows all materials to be easily removed in case the pool conversion failed or future owners decide they prefer a conventional pool (heaven forbid!). Once all was done we used our well point to fill up the pool which is not the best idea but we had no choice. 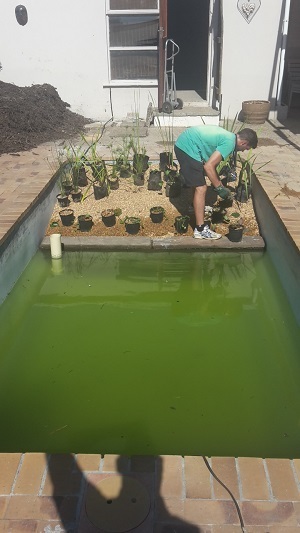 Initially we struggled with algae due to the excess nutrients contained in the water. 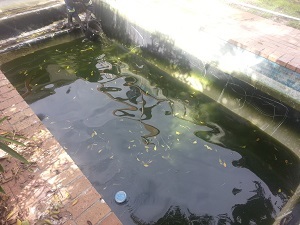 The existing pool filter and creepy crawly is still operating, but only to keep the pool surface clear of debris. Therefore, we only have it operating when needed – saving electricity. No chlorine is needed.